Jackie Roberts is Chief Sustainability Officer for the Carlyle Group. She is based in Washington, D.C. Roberts leads Carlyle’s global environment, social, and governance (ESG) efforts and works closely with the group’s teams and portfolio companies to drive understanding and adoption of ESG principles and practices. 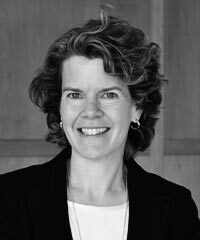 Prior to joining Carlyle, Roberts spent 17 years at Environmental Defense Fund where she launched and led the first-ever NGO and business corporate partnerships and served as Director of Sustainable Technologies and Senior Director of the Climate and Energy Idea Bank. Her previous jobs include a one-year faculty appointment at Harvard Business School and work as an engineer at the U.S. Environmental Protection Agency.